through the establishment of our comprehensive Halocarbon Bank Management Program. Gielle is your domestic and international full service halon and clean agent specialist. We buy, sell and service all types and sizes of halons. Please contact your local Gielle office for more information on selling halon 1301 and halon 1211. Our primary mission is to buy used CFCs, HCFCs, HFCs and Halons and reclaim them to industry standards. All CFCs, HCFCs, HFCs and Halons are banked and then offered for sale to our customers with full laboratory certifications. Gielle sell halocarbons for critical uses: halon 1211, halon 1301, halon 2402 and other halocarbon gases. Gielle also offers complete halon management. We could provide your firm with decanting, recycling, reclaiming and certification services. Gielle maintains its commitment to environmental protection through innovative reclamation processes . Gielle has met the continuing needs of more companies in more different industries than any other halon banking company. Our business is worldwide in scope and is counted on by the most demanding companies and organizations in the aerospace, defense, petrochemical, marine, and fire protection industries. With the need for clean agents becoming more and more apparent every day, we want to provide our customers and clients with an opportunity not only to buy and sell Halon if they are considered a critical user, but also to explore acceptable clean agent alternatives. With ongoing technology, we are able to recycle and provide several clean agents and are constantly in the market to buy any of these clean agents as well. •worldwide halon banking and reclamation. •on-site recovery for halons and refrigerants. •separation of cross-contaminated cfcs, hcfcs, hfcs and halons. •safe disposal of contaminated cfcs, hcfcs, hfcs and halons. •strategic reserves storage services . •u.s. dot approved cylinder testing and recertification. •halon system bottle refurbishment and recharge. •worldwide parts and service for refrigerants and halons. •halon recharge service for fire extinguishers. •Worldwide shipments of reclaimed halon. Our services include: halon reclaiming, halon recycling, halon banking and halon destruction. 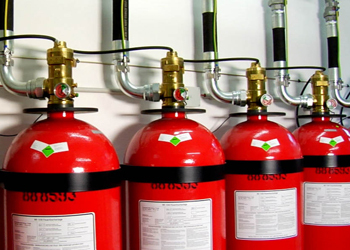 We provide halon replacement for halon fire extinguishers. – in the Channel Tunnel and associated installations and rolling stock. – in military and police fire extinguishers for use on persons. Management of halon and the Gielle halon management plan. 1. How can those users who decide to stop using Halon dispose of the gas in a safe and economical manner? 2. What other extinction agents are available? 3. How can the basic users be sure of having a supply of Halon now that the gas is no longer produced? Gielle, world specialist in techniques of fire prevention protection, has developed a Halon Management Service which, dealing with these problems, aims to help users during the phase of their passage from Halon to an alternative agent and in the efficacious management of the existing resources. 5. Advice on alternative extinction agents. Those users who no longer wish to use Halon must make use of an authorised company specialised in the handling of the gas, and, in accordance with the Environmental Protection Act of 1990, they are legally required to possess a Certificate of Waste Transfer to prove that the gas was disposed of in complete safety. Gielle is authorised to handle Halon. The company staff is formed in teams of specialised engineers qualified in the dismantling of Halon systems. The teams remove the full containers, the pipes and the equipment and issue a Certificate of Waste Transfer. If other contracting parties are involved in the project, Gielle can safely handle the recovery of the Halon, and maintain the system safe for the later removal by the contracting party. Alternatively, the Gielle engineers can convert, when possible, Halon systems into systems that use alternative agents. Gielle also dismantles Halon extinguishers free of charge. The company collects the extinguishers from the clients' locations and recycles or disposes of the gas in complete safety. Gielle has fine tuned recovery systems for Halon 1211 and 1301. Designed by the company's Technical Division, these machines are today one of the most advanced systems for Halon recovery. 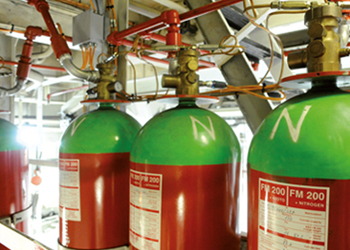 The recovery systems extract the Halon in the form of liquid and vapour and remove any trace of gas from containers and extinguishers. The Halon recovered is passed through a filtration system that removes the impurities and returns the gas to its original chemical formula. This process is carefully monitored by Gielle's expert engineers and the final product is tested by an independent laboratory in conformity with ISO standards and U.S. military laws. The recycled Halon is transferred in collection cylinders designed for this purpose by Gielle. The cylinders are deposited in Gielle's Halon Bank where they are constantly monitored to prevent any losses. Gielle can supply Halon to those clients who wish to reload their systems adapted to Halon, and offers a prompt intervention service 24 hours a day for any emergencies. The first phase to be carried out when you decide to opt for an alternative solution against the risk of fire is that of re-establishing and then evaluating the protection against fires available at the moment. Gielle assists companies in all aspects of fire prevention protection, including the search for alternative agents to Halon. Gielle representatives carry out surveys to establish the fire dangers and recommend the most suitable and affordable fire prevention protection solution. This service implies no obligation and is supplied free of charge. 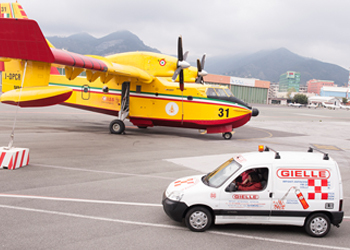 Gielle provide the services (design and installation, retrofit, recharge, and maintenance) necessary to keep your Gielle system functioning properly and in compliance with Marine fire protection regulations.